This coastal improvement project increased the protection of Hengistbury Head which, in turn, provides protection to Christchurch Harbour. The project involved importing 5,000 tonnes of rock from the local Portland Quarry, by road, over a period of six weeks. Each rock weighed 5-7 tonnes. 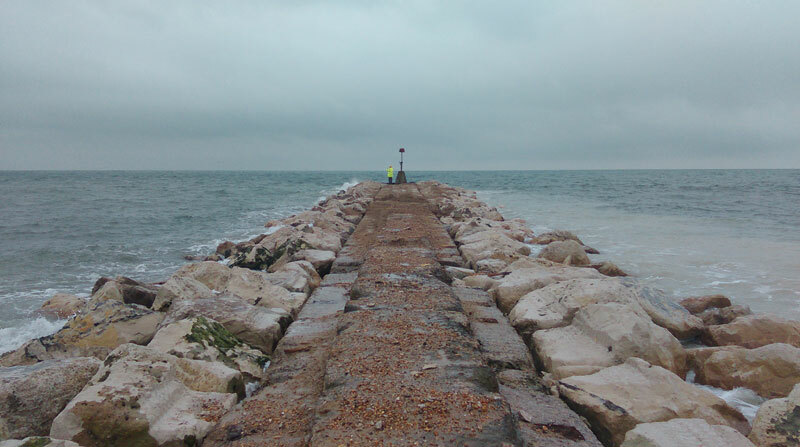 2,000 tonnes was placed on the Hengistbury Head Long Groyne and 1,000 tonnes each on groyne 57, 56 and 55 at Double Dykes Beach, Hengistbury. All four groynes have had new beacon markers installed. Further works to protect the headland, a scheduled Ancient Monument, included removing 46m of gabion revetment and replacing it with 255 new gabion baskets filled with stone at Double Dykes Beach.